Guns are something every child learns about. Even if you are not living an outdoorsy lifestyle, full of hunting and firearms, your kids will see guns in movies, video games and history books. Guns are part of human history, and an important one. Whether kids become interested in guns because of what they see in movies, or in games like Battlefield, making sure they understand firearms in a concrete way is something parents need to facilitate. It’s like learning about lawnmower safety—we wear eye and ear protection, and we don’t walk in front of the chute that spits out grass because it can kick out rocks and sticks. Lawnmowers are dangerous but useful tools. Pistols are like any power tool: They can help us, but we need to respect their power. Kids should receive an extra dose of safety instruction on pistols. Pistols are small. They can fit in one hand, or in a dresser drawer, or a nightstand at a friend’s house. The odds of a child running across a pistol are much higher than them running across, say, a sniper rifle from WWII. So here are a few ways you can teach your kids to understand pistols, and be smart around them. First and foremost, all guns should be treated with respect, and everyone who handles them should follow the big rules of firearms safety. Pistols deserve special attention in how we handle them, since they are so small. Here are some things we can do to make us better company on the range—and our respect for the power of a pistol is something we must model for our kids, as well. As with any firearms, when we handle a pistol we need to be aware of our target and beyond. That space can change really quickly for a pistol because it’s short. If we turn while we are holding a pistol, we make a new “beyond” very quickly. 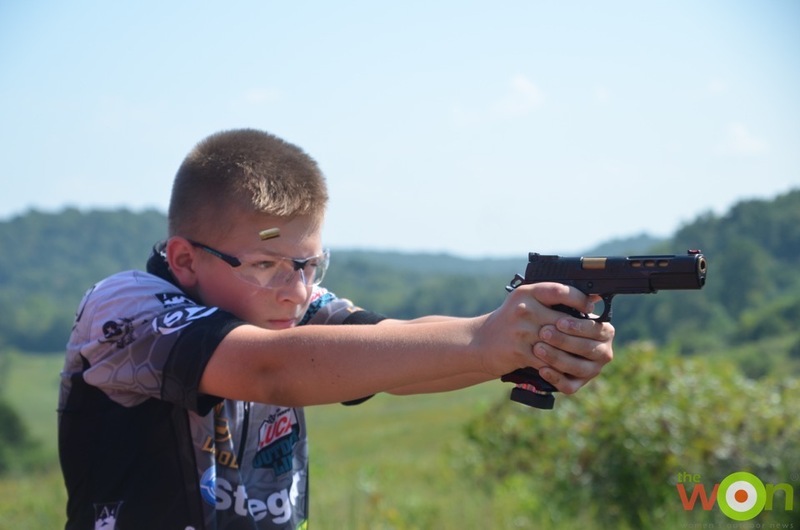 We need to teach kids that when they are on the range with a pistol, or with others handling a pistol, that they must have a very keen awareness of where their muzzle is pointed. The simple act of loading a magazine into a pistol can cause us to turn it sideways, or up at an angle. This is a problem because it can cause the muzzle to be pointed above the berm on the range, which isn’t optimal. So before loading, we need to teach kids how to manipulate a pistol safely. A great way to do that is dry firing a pistol. Dry fire means “shooting” a gun without ammo or using dummy rounds. This is the best way to begin any child’s understanding of a pistol. I’m not suggesting you should just hand them guns to start with, however. You can start with a squirt gun. Teach them what is a toy, versus what is real. Teach them why the real ones are not OK to point at anything we don’t want to destroy. Let them learn the way most kids enjoy—hands-on, with adults guiding them. This is one reason shooting competitions are great for kids. In competition, participants are under range officer supervision every moment they are on the clock and on a stage. They learn with proper supervision how to move safely with a gun, and keep the muzzle in a safe direction with their finger off the trigger until they are ready to shoot. Competitions give shooters a basic outline of what to do once the timer starts, but the shooter has execute her own stage plan and movement. 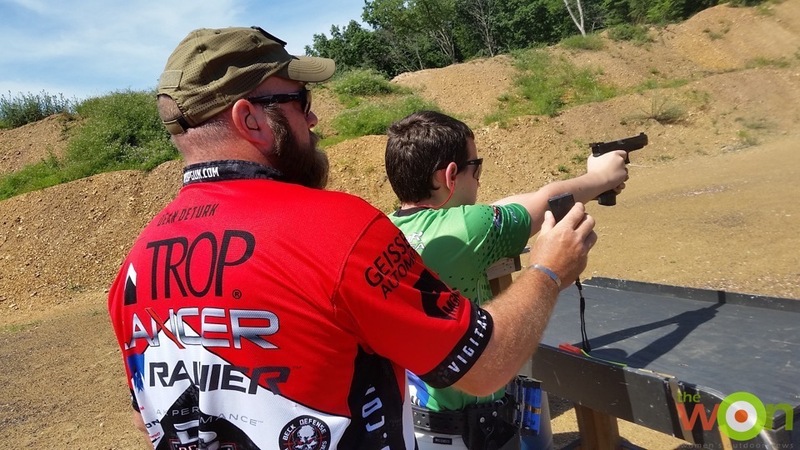 Competitions aren’t for first-time shooters, but once your child has good basic firearm handling skills, finding a camp or local club with a crew that welcomes new shooters is one of the best ways to solidify those skills. 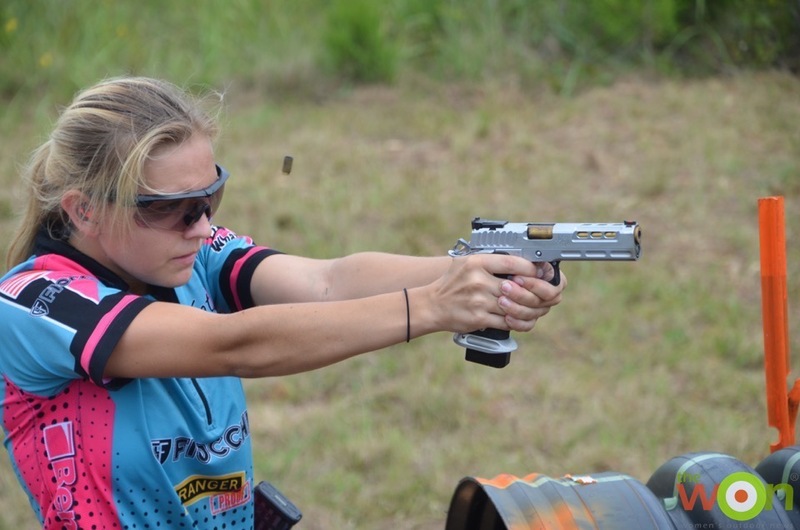 Pistols are pretty easy to do that with, because USPSA (the United States Practical Shooting Association) has matches all over the country. You can search for an event in your area via Practiscore. Here are some rules I have when my kids (ages 13, 17, and 19) shoot not just pistols, but any firearm. Take turns: One person is always the range officer, the other is the shooter. Obey range commands. Treat downrange like at any range: Nobody goes downrange unless all guns are empty and pointed in a safe direction. Follow a 180 with movement and awareness of our target and beyond. A 180 means that we always face the target, and that we need to keep the pistol pointed in the 180-degree arc in front of us. Ground your pistol on a table, or empty in a holster. If you introduce kids to firearms in a serious but factual way, you will help them to become more responsible gun owners and human beings. Your frank discussion of guns, big and small, can also help other families be better prepared to safely navigate encounters with them, and lead children down the path of safety and understanding. We start teaching kids to look both ways before they cross a street as soon as they are old enough. Teaching them to always check if a gun is loaded and respect its power should start early too. The biggest challenge to teaching youngsters about any firearm comes down to taking time to do it. If you share information with your children, you will give them valuable experiences and knowledge that will set them up for a lifetime of respect for firearms, and will also give them an example of how to teach their own children. Passing down knowledge and tradition is what families are made for, and it’s natural to do that with every aspect of our lives, including guns. 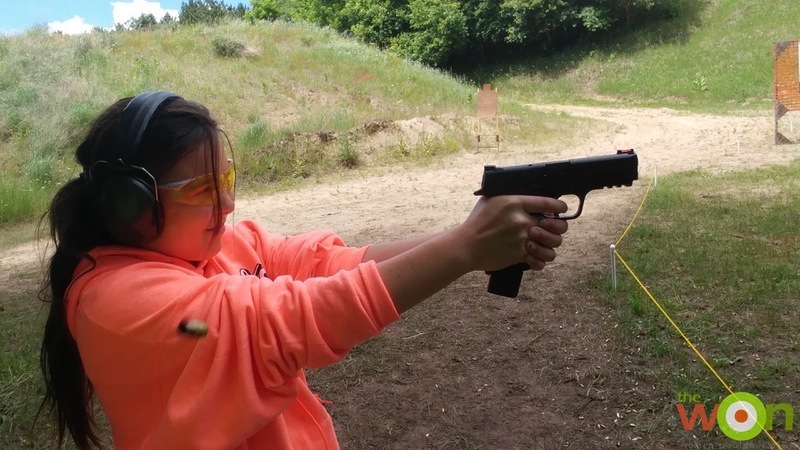 I believe kids can learn to shoot at a fairly early age, however I think a simi automatic pistol is a poor choice, and a dangerous one also. It is simply too easy to forget, or not realize that once the pistol is fired, there is another round “ready to go”. Since there is no need for a “fast” firing weapon, when your learning to shoot, there is no need for for anything on the order of a auto loader. A much better choice and a fun gun to shoot, would be a single action revolver, such as the “Heritage” line. These are very inexpensive “six guns” They don’t have the finely machined parts of a more expensive gun, but they are well made and will only set you back less then a couple hundred bucks. Later, after the student graduates to a more formable weapon, the single action will still be a fun gun to shoot, and can accompany the owner on hunting and field trips.